Alaska’s humpback whales came a step closer to moving off the endangered species list this week when an arm of the National Oceanic and Atmospheric Administration issued a positive initial finding on the merits of the state’s petition to delist a population of the marine mammals. On Wednesday, NOAA Fisheries announced a positive finding, which means the agency “has determined that the petition presents substantial scientific or commercial information indicating that the petitioned action may be warranted,” said a release on the finding. The State of Alaska petitioned the agency in February to delist the central north Pacific population of humpbacks, which travels between Hawaii and Alaska. An estimate at that time put the entire north Pacific population at 21,800, up from about 1,000 in 1966, the year commercial whaling ended. The central north Pacific stock — the population segment targeted by the state’s petition — is believed to number at least 5,833, NOAA said Wednesday. Another organization, the Hawai’i Fishermen’s Alliance for Conservation and Tradition, is also seeking delisting, but for the entire north Pacific population. NOAA issued a positive 90-day finding on that petition last August. The positive findings on the Alaska and Hawaii group’s petitions mean NOAA will conduct status reviews of the central north Pacific and entire north Pacific populations. Those reviews generally take a year. NOAA is already engaged in a status review of the global population of humpback whales, a project started in 2009 and not prompted by any petition, said Julie Speegle, a spokeswoman for the agency. NOAA plans to combine the new north Pacific population reviews into the global study, Speegle said. “Within that status review, we will look at the different stocks,” she said. 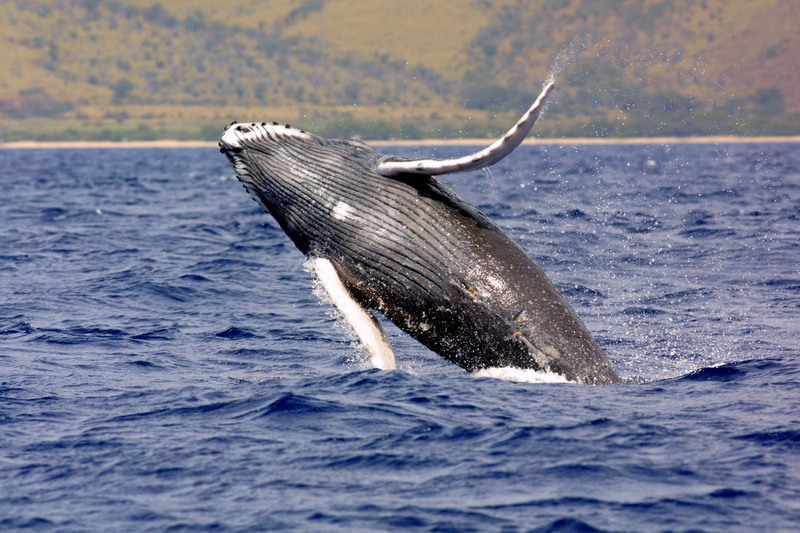 Humpback whales exist in oceans all over the world, Speegle said. Within the north Pacific population, she said, there are three stocks — the central stock that is the subject of the Alaska petition, the western stock in Asia and the stock that swims off California, Oregon, Washington and Mexico. If any delisting occurs, that could affect regulations that protect the whales, Speegle said. “We would go back to the regulations to determine what may be necessary or what needs to be changed,” she said. But regulation changes depend on the outcome of the status review, a range of possibilities that includes a possible change to a listing of “threatened” from the current endangered listing, she said. This entry was posted in Environment, News and tagged Alaska, Endangered Species List, Humpback whale, NOAA by admin. Bookmark the permalink.